They have cloned a D2C set. Come on LEGO Act Now! For something like this, the normal question would be "How do you expect TLG to act?" However, D2C isn't the most important bit; NINJAGO is a registered trademark. I am confused. I have always thought that part of the reason why LEGO is so expensive is due to the cost of making and maintaining the molds it uses to make the pieces. If that is so then either this company is make very little if any profit per set or they are stealing molds , modifying them and reusing them. Making moulds isn't expensive. Making precision ones is. But there are plenty of other costs that can be reduced, which is why TLG opened their own plant in China. And what do you think their customer service is like? Wow, 120$ - that's a mark up of 80$ from the chinese marketplace! actual per-unit material costs on a set like this are probably under $25. most of the markup is in design/production/logistics costs and of course !!!profit!!! If you're comparing a clone manufacturer to TLG, profit isn't really a factor, because it's on both sides of the equation. It may of course be rather different. 100% for TLG, including profit, versus 60% for the clone, but excluding profit. You can't just knock off TLG's profit and say that's a reason why the clone manufacturer can sell more cheaply, because they have to make a profit too. Why would someone want to buy a cheaper set and have some of their elements crack despite being a new set? Wow. I had no idea companies were being this brazen in outright stealing from Lego. 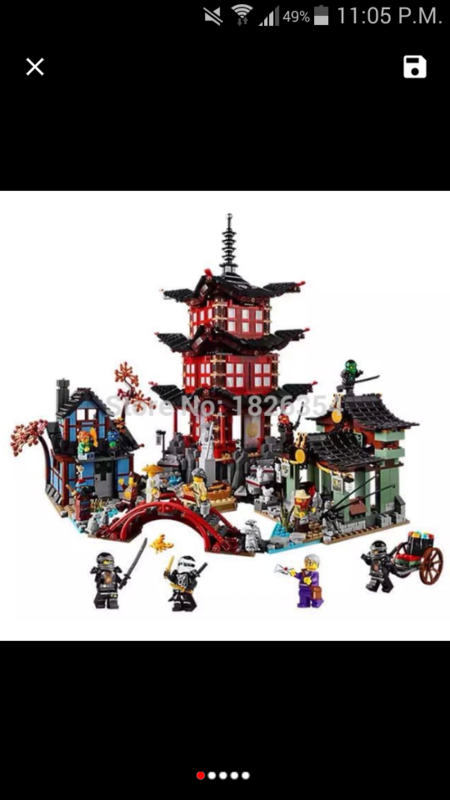 I knew about th minifigs, but not entire sets like this, which are a complete copy, and using the term Ninjago. Hold on everyone! 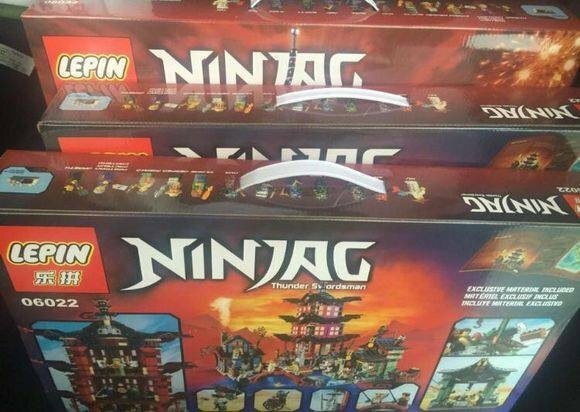 This set comes with all of the ninjas! Jae, Kie, Coal, Loid, Zain, and Niah! I think that many more people are going to ask that question as the set prices increase and the absolute difference in cost becomes larger. It's made more likely as the quality of clone and LEGO pieces get closer (by one getting better and the other apparently getting worse). Wooly ideas about brand loyalty only go so far, although for the moment I think a lot of people cling to the idea that things will improve. The folks at TLG got to be idiots not knowing that China doesn't follow patent, copyright and trademarks laws. How can TLG not realize that China doesn't follow the rules when it comes to Intellectual Property. 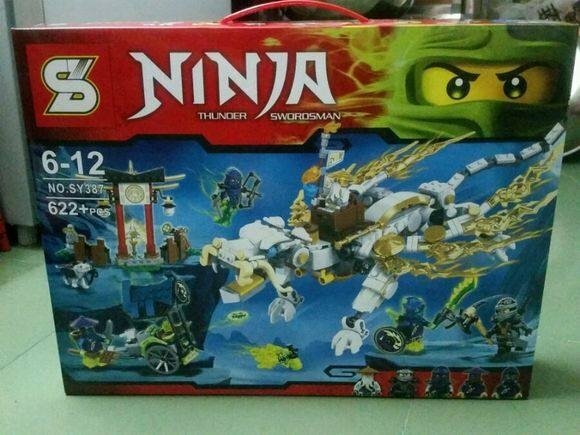 I blame TLG for creating the problem for knockoffs and counterfeit Lego items. I guess their profits show they don't care at all. What do you suggest they do about it? I can't believe it, but I'm actually tempted by this. Should be able to find it for less than half that price in the chinese market. Buy clone sets in the Chinese market. Part them out. Then set up web site so that people can CloneLink the sets cheaply and without too much criticism because they're not actually buying copied sets. Like many companies that deal with China there's not much that they're willing and can do. The Chinese government doesn't enforce or care about any patent, copyright or trademarks laws. TLG is like many companies who accept the risk when it dealing with manufacturing products and Intellectual Property rights....it's all about profit margin. They will turn a blind eye to the counterfeiting due to making more profit since they don't have to pay a higher salary cost and follow environmental laws within their own country. Forget the toy, I'm sure the paper board in the packaging is rain forest! Largest paper and pulp company in China harvest rain forest trees. Do you think it would make a blind bit of difference if TLG didn't do business in China? The clone manufacturers would still copy anything they thought would make them money. On that basis, criticising TLG is a bit pointless if there's actually nothing they can do. Did I see a $2.00 coupon? With TLG doing business in China does give the manufacture(s) an advantage to, not only the molds, but the knowledge, skill and ability to produce quality Lego items per TLG's standard. I'm sure these molds and brick specifications are given or sold off to others to produce knockoffs. Sure, clones will always be produced, but why give them the product and knowledge on how to do so. There's plenty that TLG can do to stop the increase or end counterfeiting their product. First thing, stop outsourcing!! Close the Chinese factory. Closely followed by the Mexican. Do you think the Chinese are stupid? That they in any way need TLG knowledge or skill? That's an extremely naive view. Given their propensity to copy things, and their generally free access to it, do you think there is anything that they need that they haven't already copied? And improved? As for moulds, do you really think that because they are physically within China, that it means that they can just walk out of the factory within anybody noticing? You're not talking of one or two either; you're talking about ALL of them - including any which are currently in production and which take hours to change. Piece designs are a different matter; that's the hard bit to get right. Of course, they're all available virtually anywhere in the world - in toy shops. Put them in a laser scanner and they know precisely what they have to replicate. You might have just reason to complain about quality, but that's essentially because they have different priorities, not because of their technical abilities. Is this set available outside of China at all anyway? If anybody got their hands on one, I would be very interested to see what the quality is actually like, as I have got the original about which I can't say anything bad quality-wise. Otoh I never had quality issues with any original Lego piece. P.S. : I know, no one should buy this thing to not encourage them to produce any more of that bootleg stuff. They don't need to stop outsourcing to do something. China is a WTO member, and that provides mechanisms to seek legal redress such that if China doesn't play ball it would face WTO sanctions. The real problem TLG has though is legal wheels take years to turn, but clone manufacturers can adapt in weeks. Likely they'll be able to get something done about this, but by the time they do it probably wont matter much for this particular set though they may be able to obtain financial compensation and create a deterrent for such future abuse though it ultimately depends on how much of an award they're able to obtain. And once again, for anyone tempted by this, let me remind you that this is an illegal counterfeit, and as such it can be seized by your nation's authorities, so in buying this you could potentially find it taken away from you with no compensation - that would be for you to try and pursue from the seller. 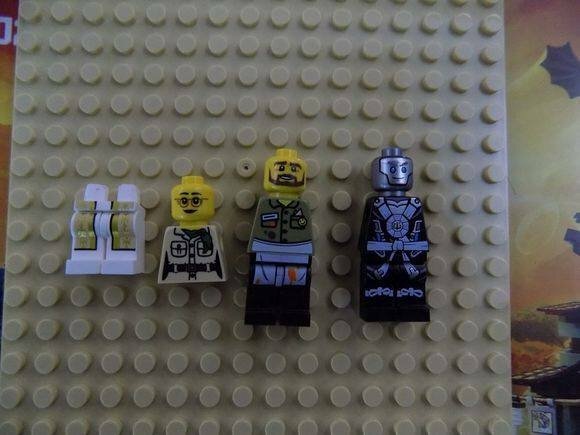 People will often see that as a risk worth taking on a $5 minifigure, but as the counterfeits get increasingly more intricate and increasingly grow in value, you may start to find yourself at the wrong end of the risk equation at some point. It's a case of buyer beware. I loathe counterfeit things be it Lego or anything else. Piracy / fake goods / whatever you want to call it is part of Chinese culture. It will take many many years to eradicate it. Yes. It is very rare for anything to be available only inside China. The Chinese government subsidise exports through low postage costs. So while they may not be available in TRU or Walmart, they are easy to purchase online. It's possible to buy a knock off figure from China and get it delivered half way around the world (~60p for the figure and postage and packing) for less than it is to post a genuine one within the UK (~74p for postage alone, without considering packaging and not including the figure). A large UK company might have bulk discounts and get the postage price a little lower, but they still cannot compete on price. The only thing they can compete on is speed. Which is why UK sellers can import boxes of fakes from China, then resell them on ebay and buyers pay significantly more for the knock-offs than they would buying direct from China. I might be tempted to get it when I'm next in China but that won't be till next year. 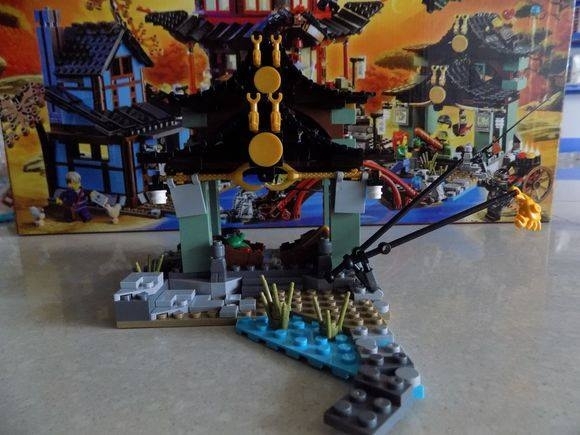 When I saw the (original) set I was interested in it solely for the Chinese style architecture but not interested enough to get it at that price. This clone version intrigues me enough to spend the fraction it costs at source just so I can put it on a shelf on view. But they aren't the only ones .. Personally I wouldn't waste any of my cash on these fakes. Neither would I. But seing these pictures - thank you very much @tecjam by the way for providing them - I can't help wondering how they manage to pull off these prices. I mean I have bought stuff from Best-Lock (once, to try them out, never ever again) and MegaBloks (the Build-a-Minion which I actually find quite good) but both were their original designs and no Lego clones. And both were not that much cheaper than real Lego. MegaBloks over here has about the same average price per piece as Lego themselves. 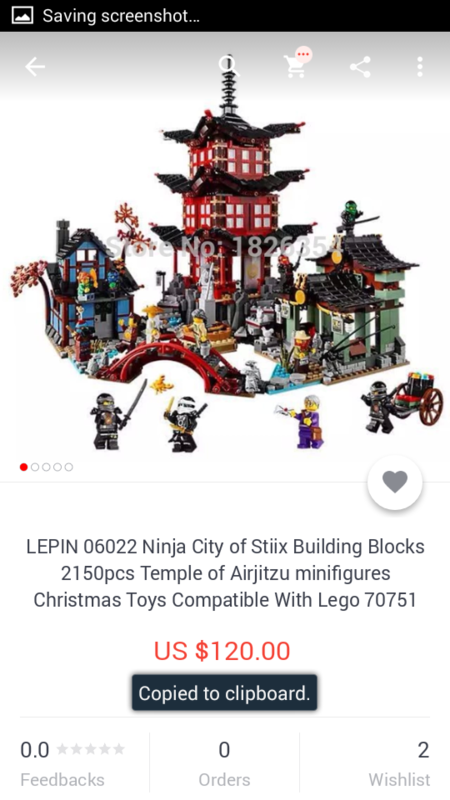 So how can that "Lepin" ToA copy be 120$ or (as scoiltreasa said) later probably even 35 to 40$, while the photos seem to indicate at least very decent quality. Everything seems to fit together well, the color of the bricks looks very much like the original (in contrast to Best-Lock and others where colors look very washed out and fit and finish is awful). I can't wrap my head around it. For all I know LEGO may actually own a cheaper clone subsidiary... Shhh! It is absolutely TLGs fault. They will have been told very clearly when they began moving production to China that every single product they produce will be copied, that they will not be able to import any piece of machinery or equipment without it being recorded at the smallest detail such that it can be reproduced. 10 years ago my wife was leading a project to move a pharma plant from the UK to China and they were told this straight away by the local agent. They were also told that if seen as desirable a clone factory will be created almost next door and in many cases will be up and running before the real one. Whilst they could bring in almost any staff they wanted, the factory manager would have to be Chinese and whilst they could easily exclude him from decision making etc he would have to be allowed access (and provide access to others) to every part of the factory, it systems etc. TLG would have known all of this and still decided that the cost savings, access to markets etc was worth it. I also find that quite amazing. They are listed between 20 - 40 EUR (130 - 260 CNY), which shouldn't really leave a lot of profit margin on each set unless our knowledge of the production costs are quite wrong. I too have a MegaBloks model, the PoC Black Pearl, and I find the quality awful. I don't think my fingers have ever hurt as much as they did after putting the 140 pieces together for that model. Then upon trying to dismantel one piece even broke, the plastic is just wrong and feels cheap. And yes, I also agree with @cheshirecat . The fake-market would have been blatantly clear to Lego before they decided to move their production to China. 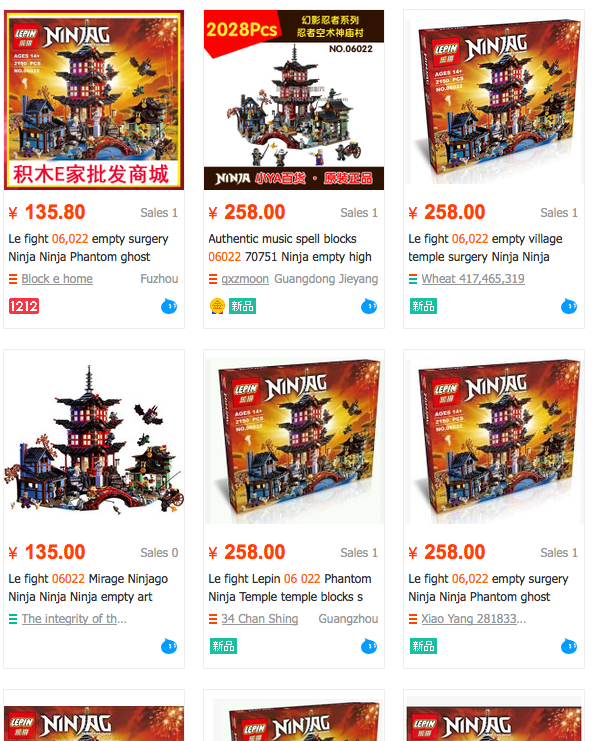 There are also rumors that other Lego Copy Firms will also clone the same product (such as SY and Lele for example). Think this 'baby warg' (replacing the husky) is my favourite part of that Master-Wu-Dragon knock-off. Perfect for a game of thrones moc? They will have been told very clearly when they began moving production to China that every single product they produce will be copied, that they will not be able to import any piece of machinery or equipment without it being recorded at the smallest detail such that it can be reproduced. 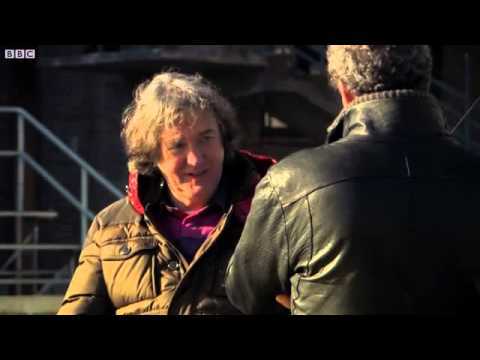 TLG use standard equipment for production; it's not something that needs to be "recorded at the smallest detail". Maybe TLG gave them a machine to copy, rather making them buy it, but there's not a lot of difference. The clones would've happened anyway, whether production moved to China or not. Somebody else's product's might've been targeted first, but that's about it. The western press make it clear that it's high-value and common sense says that it's reasonably cheap to produce. Sold to the Chinese gentleman at the back! 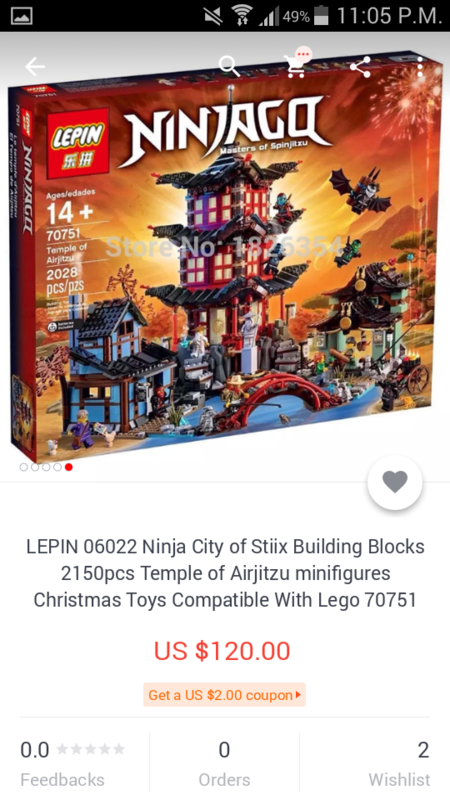 I'd be more worried about another aspect of Chinese production that seems to affect some other products - that genuine LEGO parts continue to made to the same standards. I don't really understand a lot of the argument here. Firstly, why does moving to China make an difference - anyone in China can buy the set the same as you then start making it. I guess you could argue they would need access to the machines but would they really? Other clone brands are made there already, and shaping plastic is something they are already mighty good at. It's not like a pharamceutical company where reactors are very specifically designed. And as for the price they can sell at... they have to do no research, design or advertising themselves. This is the vast majority of what any company spends money on. Plastic, on the other hand, is cheap. ^^ and yet despite your hyperbole, the influx of these almost counterfeit clones occurred when TLG began moving production to China. It suggests having access to moulds, technical drawings, production processes etc has facilitated the counterfeiting no end, especially of the minifigure. I would bet my mortgage that had TLG not moved production to China there wouldn't be half the counterfeits we see now. There really is no mystery here on this point, which is why it's amusing to me to see people seemingly bewildered that there is profit to be had at half the price. How is 20-40 EUR including shipping from China half price? Should I bold it so peole can read it better? Yep, I've often thought that here, especially in some of the sales threads - i.e. we often see questions like "How can a set be sold at 50% off and make a profit?" to which we get theories about that store making a loss on the product. It's nonsense, I'd wager profits for TLG on a set sold by themselves at retail after all costs alone nets them at least a 60% profit margin. I suspect Lego is rarely, if ever sold at a loss. It has high perceived brand value, and that allows for massive profits in much the same way many fashion chains and Apple can price things. People rarely seem to realise that their £40 Armani t-shirts and so on are made in the exact same sweatshops with the exact same materials and with the exact same effort and hence cost put into design as for a cheap £3 t-shirt from Primark. There's nothing magical about TLG's products, they benefit from incredibly cheap outsourced manufacturing as much as the next product does. Given their propensity to copy things, and their generally free access to it, do you think there is anything that they need that they haven't already copied? And improved? Copied? Yes. Improved? Not that I have seen. I've owned numerous knockoff items over the years from toys to electronics to scooters. The problem is that the engineers hired by the Chinese firms are just copying the existing items. They don't always understand why a part is made out of a particular material or made to a precise size (which they have only measured and sometimes guessed the material). I used to work for a company that had factories in China. We designed high end electronics. When we would send our prototypes to our reps in China to start the manufacturing process, we had to encrypt our code on our chips and burn/scrape off all the chip identifiers, etc. Even though we took those measures our stuff would STILL get cloned before our products hit the market. But if you bought one of the knockoffs and compared it to ours, the code would be different, the chips would be different, the capacitors would be slightly off, etc. I have tons of stories about Chinese knockoff items and their companies stealing intellectual property. Opening a factory in China opens up the door to allow other companies (with the help of government officials, etc) to get their hands on pictures/measurements/designs/etc that they would not have been able to get their hands on outside of China. Depending on what you manufacture you have to provide the government with documentation of what you are making. If you hand the info to a corrupt person, your info is on the open market. This is from first hand experience with dealing with companies in China. TLG should have known better. It also happened when a lot of other things happened in the world; are they to blame too? There is nothing mystical about injection moulding. High quality machines are available to all comers prepared to pay for one. TLG don't make a secret of whose machines they use. The prototypes are available in any good toy shop. Indeed, I don't imagine that the factory in Jiaxing is capable of producing something like the Temple yet, not from scratch. It only has a fraction of the final workforce and is still a couple of years from completion, so it is probably just packing parts made elsewhere, not moulding much - if anything. You need a full set of presses to actually make a set of any size, simply because the downtime changing moulds is significant. You could just as well argue it is in line with the popularity of lego increasing (probably a much bigger driving force). I simply fail to see why the counterfeiters would wait for a factory to open when the sets are freely available to them. If we were seeing fakes before release I would agree something was up, after all the factories would be producing sets long before release. But as it stands your argument suggests that we could stop illegal counterfeiting almost completely simply by not having factories in China. Plenty of brands can act of as examples of that being false. You could just as well argue it is in line with the popularity of lego increasing (probably a much bigger driving force). Somewhere else around here I said only yesterday that resellers could be blamed for almost anything. OK, keep your hair on, I'm not blaming them! But the rise of the resellers is a symptom of the same thing. Or is somebody going to concoct a story that revolves around the "evil Chinese" being the same as the "evil resellers"? They're obviously connected, because it can't be a coincidence that the rise in resellers has occurred at the same time as rise of the clones. 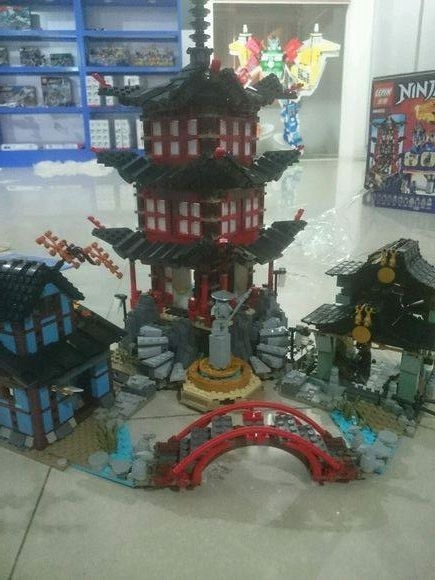 To everybody blaming TLG for this: you are kidding yourselves if you think there would have been any fewer Chinese fakes if the LEGO Group had not started production in China. There were SEVERAL Chinese brands making Bionicle knock-offs YEARS before LEGO started producing parts in China, and there are several entire galleries of these fakes on Brickshelf. In fact, looking at some of the Bionicle boxes and canisters in my room, I don't believe components for Bionicle sets were EVER produced in China, except perhaps the motors and remotes from the 2001 Manas set. 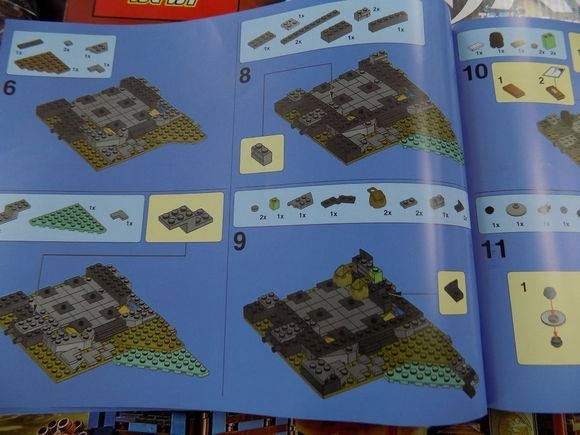 Currently, the LEGO Group's Chinese plant isn't even complete. 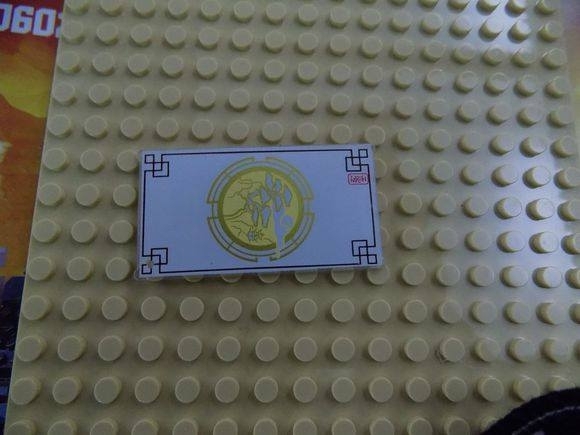 There is one company in China that is under contract from the LEGO Group to produce parts on their behalf, and even so the parts being produced at these facilities are mostly limited to CMFs, promotional figs, and certain specialized parts like minifigure legs with side-printing. 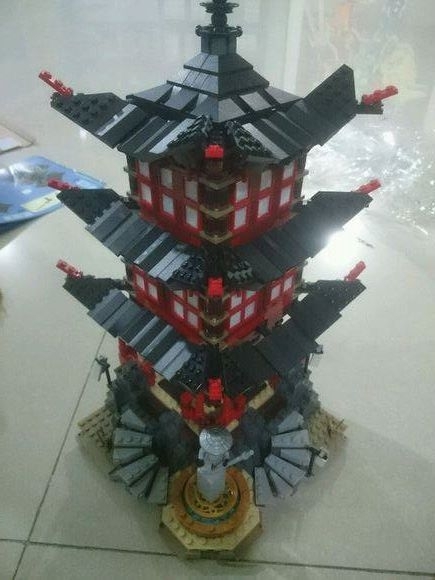 Not nearly enough bricks to produce a set like the Temple of Airjitzu. The fact is, as LEGO gets bigger, there's more of a market for LEGO products, and especially in low-income areas, more of a market for cheap imitation LEGO. 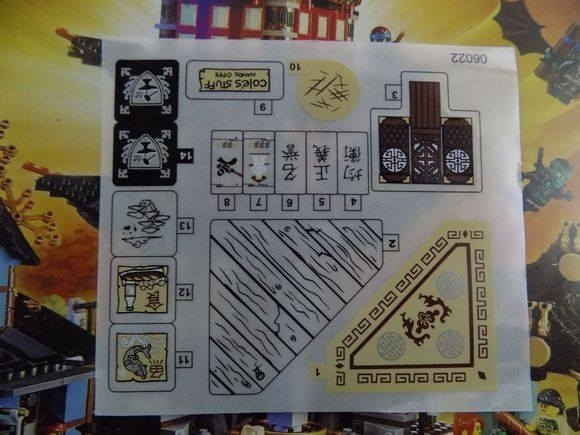 The real reason you see knock-offs of sets like this is that sets like this are wildly popular (Ninjago in particular is extremely popular in Asia), and that makes them a magnet for knock-offs regardless of where they're being produced. It's unfortunate, but there is literally nothing the LEGO Group can do to prevent it. 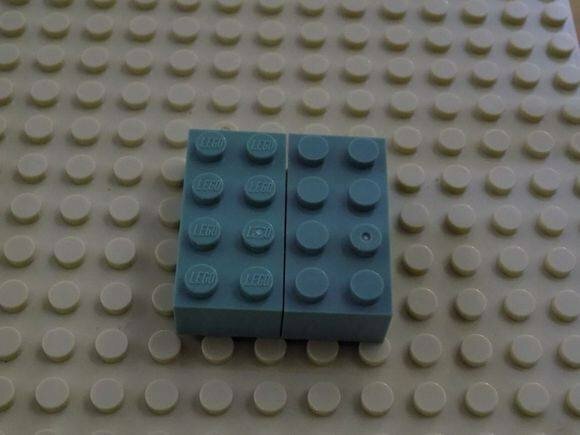 Just report these to LEGO when you see them and they'll try their best to control the damage. @MattsWhat opening a factory or having something manufactured/assembled in China opens your company up to inspection. To reiterate, I have dealt with this problem in the past. When I was dealing with companies in China our designs popped up all over the place from multiple companies. How did they get their hands on our designs before our product hit the market? Maybe an insider, maybe an official pressuring an insider, who knows. All I know is that multiple someones were selling our designs to other companies. This happens will ALL companies in China. I know a Chinese reseller. He is *really* bad.